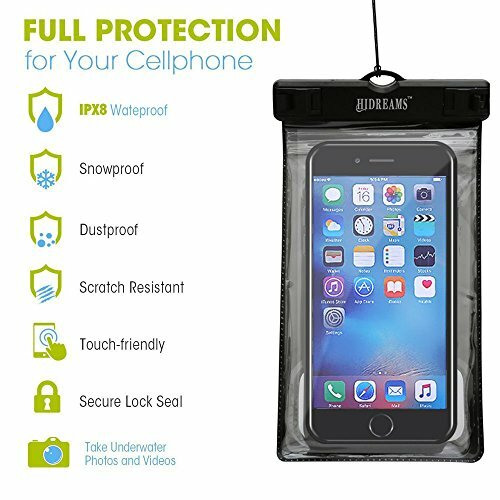 Universal Compatibility: Fits all phones up to 6 inch such as iPhone 7/7 plus,iPhone 6/6 plus ,iPhone 6s/6s plus,5S,Samsung Galaxy S6,S6 edge,S7,S7 edge,S5,S4,Note 2/ iPod Touch 3,4,5 and so on. Home button and password unlock is available while your iPhone 7 / iPhone 7 Plus is inside. 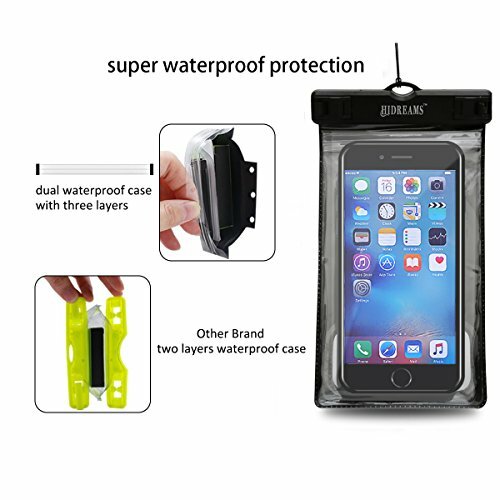 Highest Protection: Hard lock design,double-deck pocket and durable strap, multi-protection guarantee fully sealability and safety for your cellphone as deep as 100ft or 30 meters under water. 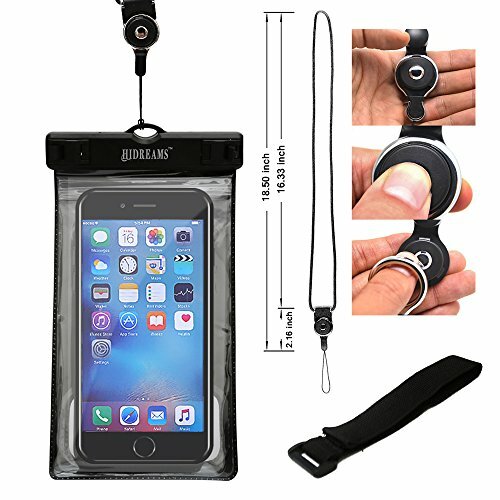 Dual Function: Durable neck strap for hanging around neck freely and an adjustable armband for attaching to arm firmly.So that you can choose according to your own particular preferences. 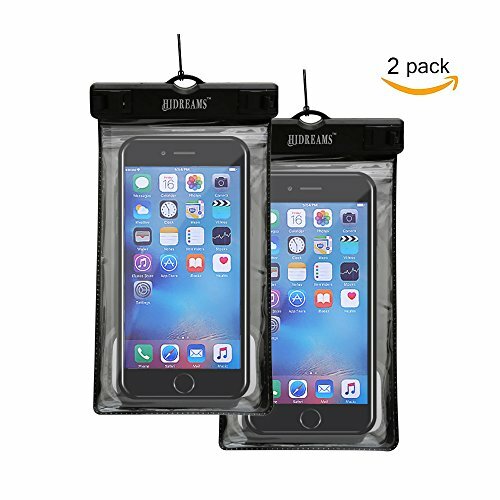 Unique Design: Double-deck pocket design in the waterproof phone case leave spare space to allow you keep the phone and id card apart,which also provides double protection for your cell phones. Screen Touch Sensibility: The transparent cover on the front and two open clear windows on the back allows full touch screen functionality to take pictures,videos and check emails without removing the waterproof phone case even underwater.